Analyze attendance – Now is a great time to compare attendance to classroom success. Is the quality of your lectures reflected in attendance? Compare attendance statistics to each student’s grades to find out. Luckily, nClass keeps each class period’s attendance record safe from coffee spills, sudden gusts of wind and all other attendance sheet mishaps. Grade Participation – Can’t remember which student posed that brilliant question? Which students have been silent all year and which simply wait for the best moments to speak? Check the text comment record. These give you instant minutes of each class period, allowing you to put off grading participation until Spring Break. Plan better lessons – Ever wonder which section of your lectures leave your students lost? Check past comprehension checks. Find the areas where students reported being most confused. Using these as a benchmark, plan to devote more time to these confusing sections or alter your approach altogether. Start building great tests – If you assess your students each class using exit tickets, you have a record of students’ conceptual understanding, as well as a framework for your next exam. Use your students’ answers to build upon topics students firmly grasp, while retesting ones students scored poorly on. 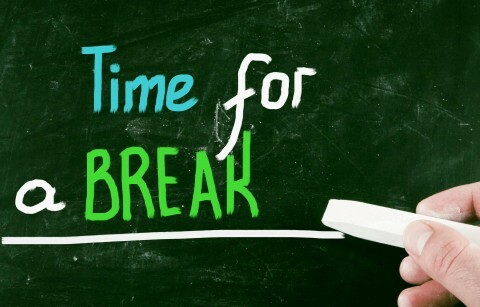 How do you use technology to lessen your spring break workload? Let us know in the comments below.